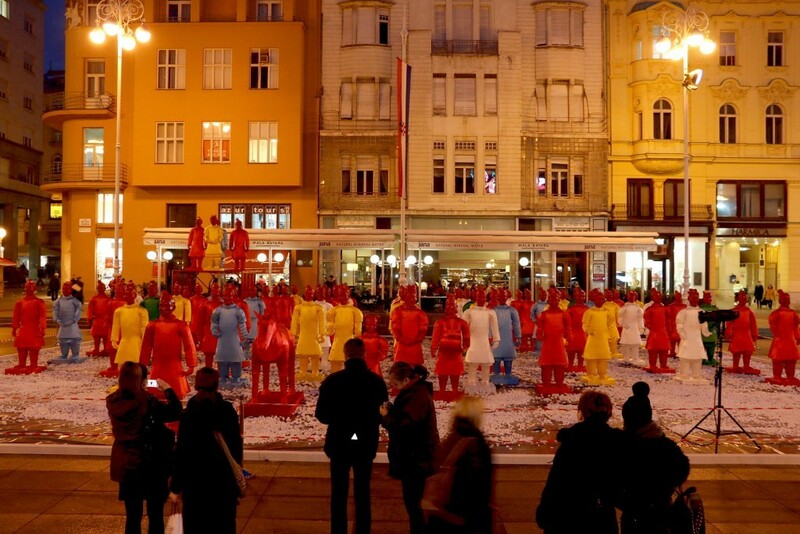 More than eighty terracotta army soldiers appeared yesterday afternoon on ban Jelacic square, confusing and intriguing passers by. 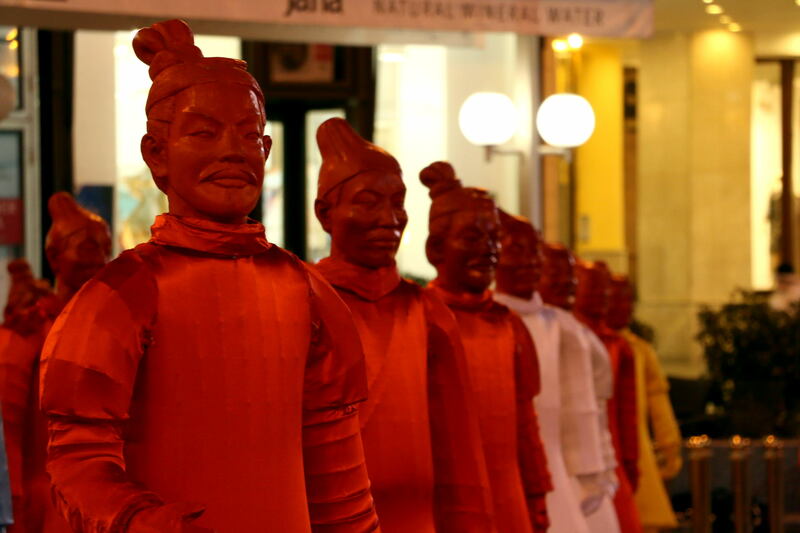 They were, however, replicas of the original terracotta soldiers created by sculptor Marin Marinić. The soldiers have been placed on the square as part of oncoming celebration of Chinese New Year, set for February 7th and 8th. 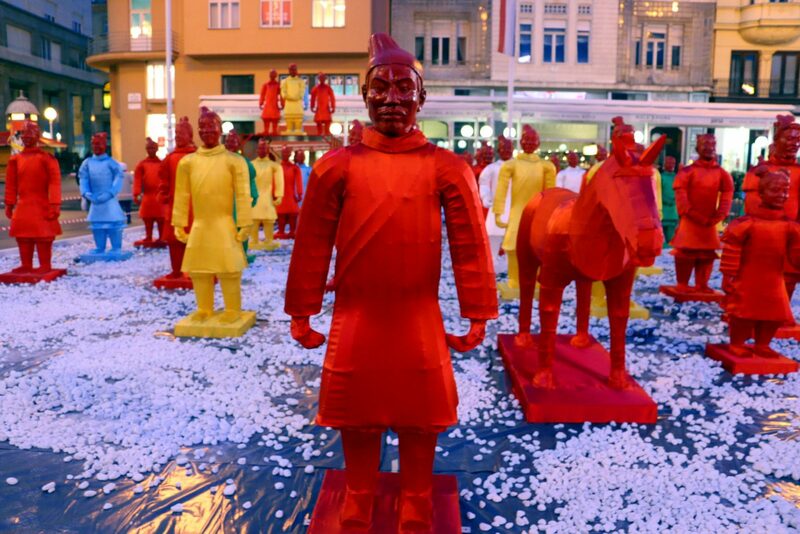 Chinese Lunar New Year is one of the most important holidays in that country. It is also known as the Spring Festival that ends after fifteen days with the famous Lantern festival. Terracotta warriors is a collection of terracotta sculptures depicting the armies of Qin Shi Huang, the first Emperor of China. It is a form of funerary art that was buried with the emperor in 210–209 BCE and whose purpose was to protect the emperor in his afterlife. The army of sculptures was 8,000 soldiers, 130 chariots with 520 horses and 150 cavalry horses strong when discovered in 1974, after being lost for more than two millennia.